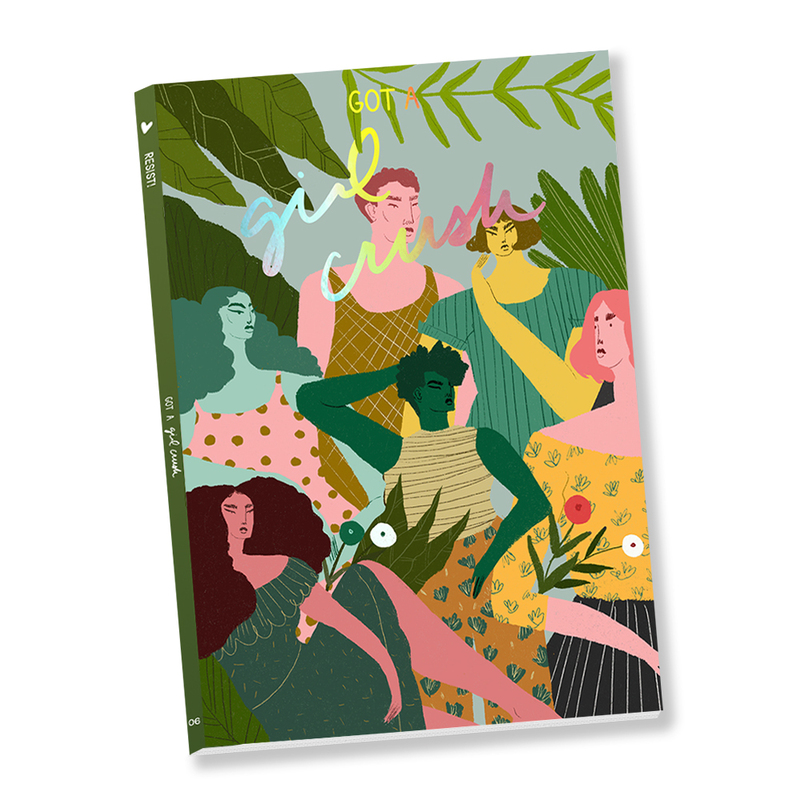 Got a Girl Crush is a NYC-based blog and annual print magazine created by Meg Wachter that is "made by women, about women, for everyone." They also host events and pop-ups to bring their audience together and build community. 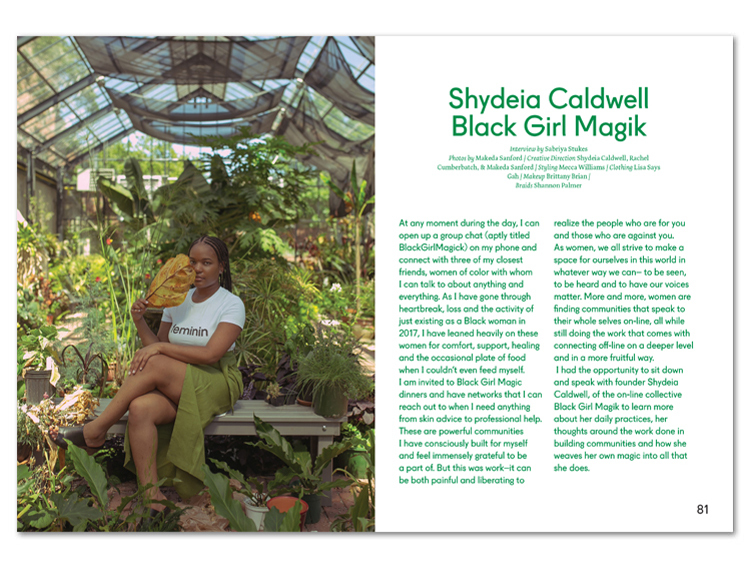 This year, Got a Girl Crush raised over 30k on Kickstarter to fund their sixth print issue. I chat with Meg here to learn about her experience running the campaign, what she would have done differently, and why independent print publishing is important. How do you describe your work and who you are as an artist? 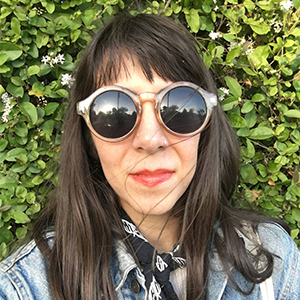 My name is Meg Wachter and I am editor-in-chief and co-founder of Got a Girl Crush — a magazine and social platform about women, by women, for everyone. We disrupt the broken narrative of most women's publications and tell stories of all ages, races, and backgrounds of women all over the world. We believe that print is not dead and that there is value to having a tangible medium to read, digest, and share —rather than sharing a link online that is easily forgotten tomorrow. Living somewhere between a magazine and coffee table book, rather than something disposable, Got a Girl Crush is something to keep and re-visit. 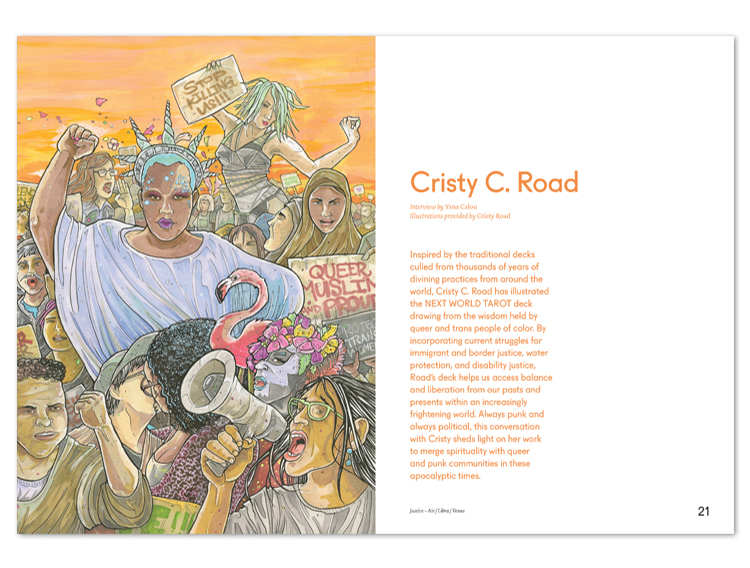 What inspired you to do a Kickstarter campaign for Issue 06 of Got a Girl Crush? One of my only goals this year with Girl Crush was to pay everyone involved. The past 5 issues has been people donating their time and talents to make this happen. We wanted to compensate those making the magazine what it is for all their hard work! The success of the Kickstarter allowed us to start paying all of our contributors (both online and in print). We believe that people's work is valuable —regardless of being an indie publication — and wanted to compensate them as such. We want to create high quality content with more frequency. We want to hire more artists and more writers, but to do that we needed a bigger production budget (currently without advertising). So, we asked our readers to invest in the future of the magazine before we consider partnering or being sponsored by large entities we believe in, in order to maintain our voice. We also​ need funding to scale the size of the magazine. This involves larger runs (our last issue was only 1,000 copies and now we've moved up to 2,000). We are considering a bi-annual format, we need to be paying distributors, and hiring someone that is skilled at marketing to a wider audience because we truly stand behind that although this is a woman-owned, run, designed, published, distributed magazine — it is for everyone. What steps did you take to prepare for the campaign? Looking back, would you have done anything differently? I think our biggest issue was that we really didn't prep for this campaign and sort of just dove into it (even though this is our second Kickstarter we've done with Girl Crush). I'd recommend doing more homework like knowing what percentage the community-funding platform takes, calculating shipping prices accordingly, including shipping costs into your final monetary goal, and promoting the fact that you're having a Kickstarter campaign well before you launch it, so you don't just surprise folks with your fundraising campaign. How do you use the internet and social media to support and promote your project? We've developed a pretty large following on Instagram and used that as well as Twitter, Facebook, emailing past supporters, and stockists to help get the word out. Kickstarter has also always been a big supporter of the magazine and was nice enough to feature our campaign on their homepage. We had also already had the magazines by the time we launched our campaign — so that was helpful in showing people tangibly what they were donating their money to. We also sent advance copies to social influencers to promote us in exchange for a free copy of Issue 06. Is there anything you've learned about the business of art and publishing that you wish you knew when you first got started? I've been feeling my way through it the whole time since day one. Our first issue was printed through a print-to-order website so they were made on demand and at no cost to us to start out (you could tack on money to the cost of making a publication, so I think we only made like $3/issue). Issue 02 was funded out-of-pocket between myself and the other original co-founder, Andrea Cheng. We did not break even and it was definitely a learning experience about how much to order, how to project demand, how to get into brick and mortar shops, what our goals were personally and financially, how to build our reach. For our third Issue we had a Kickstarter just to cover the cost of printing (and recoup our losses on fronting the money for Issue 02). From there we were self-sustaining, but still built solely on folks volunteering their time to the project. I'm really pleased we pretty fairly compensated everyone on Issue 06 and are looking into sponsorships and advertisers that would be a good match moving forward to make this a sustainable thing! How to make money off of independent publishing so I can quit my full-time job! Bonus Question: Do you have any favorite artist websites, mailers, crowdfunding campaigns, or social media accounts that you recommend we follow? Boss Babes ATX is doing really radical and wonderful work for the women of Texas right now! If you like this article, click here to hop on our mailing list. 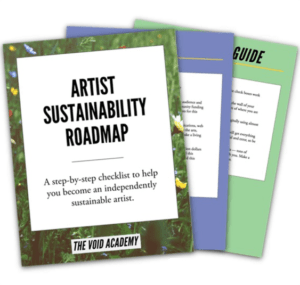 We'll instantly send you our free 15-page guide on how to start making sustainable income from your art! ​Meg Wachter is a photographer​, ​​​skilled retoucher​, and avid cyclist​. She is bosslady-in-chief of Got a Girl Crush (a blog and annual independently printed magazine about women, by women, for everyone). Meg lives in Brooklyn, New York​ with her husband, 2 dogs, and 14-year-old turtle​. If Mozart could crowdfund, so can you!